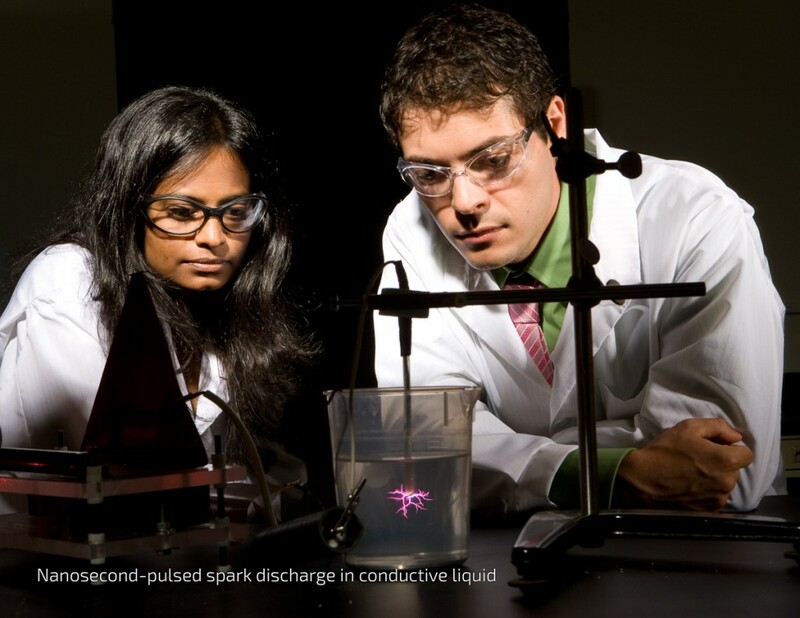 Different formations of plasma discharge can be utilized depending on the desired target reaction. The graph at the bottom from Plasma Universe shows how the characteristics of a power supply can result in varying discharge regimes. It is important to note, that developing a proper power supply is only half of the engineering difficulty. 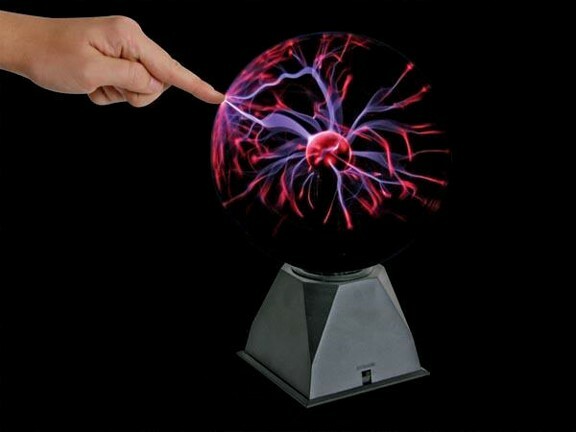 The corona discharge is a very well known, man-made, and naturally occurring plasma discharge. It can be described as a weakly luminous, non-uniform discharge, which appears at atmospheric pressure near sharp points, edges, and along thin wires. A Strong electric field and ionization along with some luminosity are located near one electrode. Corona discharges can have both positive and negative current. Another form of corona discharge is the pulsed corona discharge. Continuous corona discharges are limited by low current and power, which results in more application for materials and gas streams (environmental and fuel conversion applications included). It is possible to increase power in a corona discharge (without transition to the spark regime) by using pulse-periodic voltage. Pulsed corona can be relatively powerful (10 kW) and quite luminous. The most typical corona configuration (both pulsed and continuous) is created around a sharp edge (this maximizes the active discharge volume). In corona, a non-homogeneous electric field is used to stabilize the discharge via the buildup of space charge around a corona wire or point. 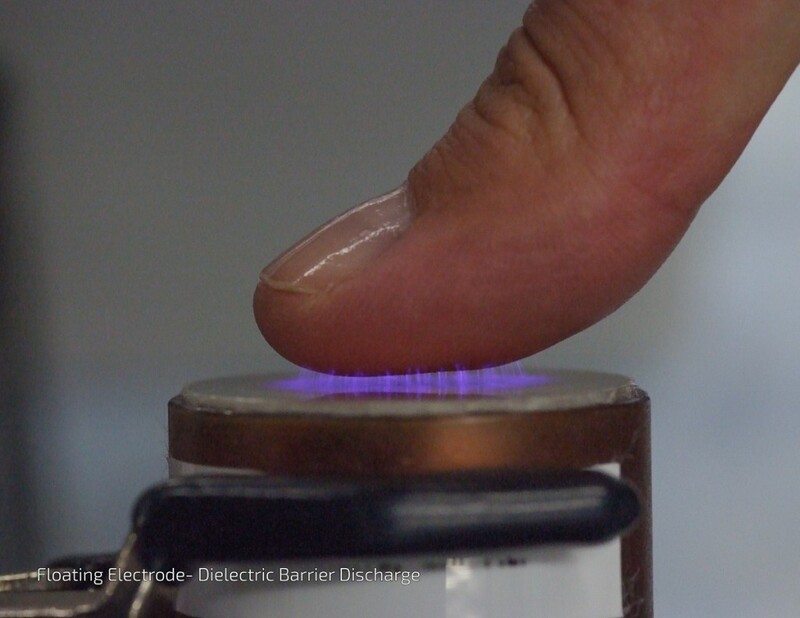 Silent discharges use charge buildup on a capacitive barrier to achieve a similar end result. Corona discharges are best suited for VOC destruction and a number of sterilization applications. Dielectric Barrier Discharge (DBD) is similar to pulsed corona, in that its development was a result of trying to find a solution for avoiding arc formation. In the case of DBD, a dielectric barrier is used to stop current and prevent arc formation. Contrary to pulsed corona, DBD does not require such complicated pulse power supplies. The DBD electrode gap includes one or more dielectric layers, which are located in the current path. Gap distance is typically in the range of 0.1 mm to several centimeters. Some of the dielectric materials that can be used are glass, quartz, and ceramic. DBD is non-uniform (except in certain gases such as helium), and is comprised of many moving, interacting microdischarges. One interesting configuration includes the use of the human body as a second electrode (floating-electrode DBD). Dielectric barrier discharges are best suited for low temperature (room) applications including sterilization and medical applications. A spark is a very basic and simple discharge similar to a lightning strike. When a streamer (stream of electrons) connects two electrodes and neither a pulse power supply nor a dielectric barrier prevents further growth of the current, a spark develops. This happens because an initial streamer channel is not very conductive; however, new ionization waves are much more intense than the original streamer and start propagating along the streamer channel but in the opposite direction (from the cathode to anode), which is referred to as the back ionization wave. The back wave is accompanied by a front of intensive ionization and the formation of a plasma channel with sufficiently high conductivity to form a channel of intensive spark. 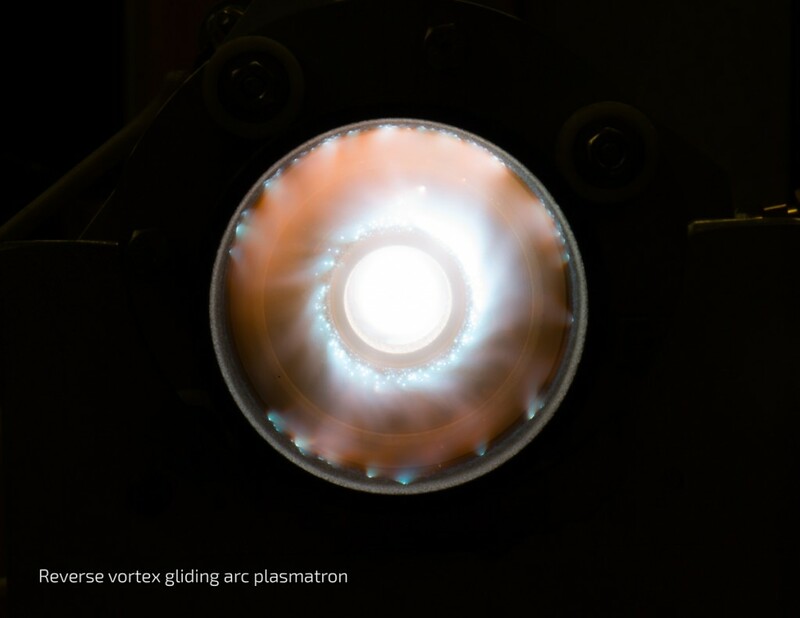 A gliding arc is a new, innovative plasma discharge. A conventional gliding discharge, traditionally called gliding arc (GA) is an auto-oscillating periodic phenomenon that develops between at least two diverging electrodes submerged in a laminar or turbulent gas flow. First, the discharge self-initiates at the upstream narrowest gap in what is termed the breakdown stage. Then, the discharge forms a plasma column connecting the electrodes of opposite polarity, which is termed the equilibrium stage. This column is dragged by the gas flow towards the diverging downstream section. The discharge length grows with the increase of inter-electrode distance until it reaches a maximum possible value, usually determined by the power supply limit. The non-equilibrium stage starts when the length of the gliding arc exceeds this critical value. Heat losses from the plasma column begin to exceed the energy supplied by the power source, and it is not possible for the discharge to remain in equilibrium. At this point, the plasma rapidly cools and decays. After this point, the discharge extinguishes and momentarily reignites itself at the minimum distance between the electrodes, starting a new cycle. Gliding arc discharges are suited for gas reforming and treatment application. Microwave discharges have the great advantage of being capable of operation without electrodes. Instead of utilizing a potential difference between electrodes, a microwave discharge is sustained by a high frequency electromagnetic field. Operation without electrodes is often preferred for high temperature applications because it can eliminate the need for complicated electrode cooling. Initiating high frequency plasmas, however, is more challenging than traditional DC plasmas because microwave requires more complex, expensive power supplies along with additional components such as a frequency generator (magnetron head), a circulator, a tuner, a directional coupler, a waveguide. In addition, the plasma must be coupled as a load in the power circuit. In general, this coupling is accomplished via waveguides, where a quartz tube is inserted into the waveguide. The plasma is ignited and confined to the quartz tube. Microwave discharges are best suited for fuel conversion applications. However, they require a low pressure system, which has hindered their use in industrial processes.